In the Botanical Garden of C.A.T.I.E. you will stroll down paths beneath the shade of Costa Rica’s national Guanacaste tree and Ceiba trees while you learn their importance in the country’s history and folklore. View giant bromeliads, delicate miniature orchids, bright bougainvilleas, heliconias, gingers and other fabulous ornamental plants. 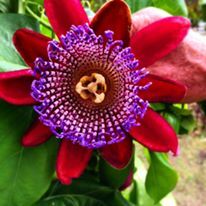 There is also a large collection of plants and trees from other parts of the world! 2 hour tour, transport not included. Finca Los Monos in Bocas del Toro is a great place to spend a morning or afternoon on a tour learning about the local fauna and flora. The farm has stunning views, both eastward toward the archipelago of Bocas del Toro and westward toward the mountainous mainland, with the turquoise Caribbean in between. There is a two hour tour with a refreshing drink at the end! Mondays 1:00 pm and Fridays 8:30 am. 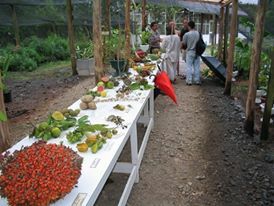 Finca la Isla, a botanical garden in Puerto Viejo, has been in cultivation for more than 20 years. The garden contains a collection of tropical fruit trees, spices, flowers and shelters some typical wildlife like birds and frogs. When visiting the park you will be able to taste the seasonal fruits and homemade chocolate. It is possible to explore the small park by yourself or to take a guided tour and learn more about the plants, trees and animals. Finca la Isla is opened Friday through Monday from 10 am – 4 pm.